The holidays are in full swing and I need a little break. What about you? I’m going to grab a good book, a cup of homemade Russian Tea, snuggle up with my favorite blanket and claim the sofa for the next few minutes. Then it’s back to doing what I love best; planning holiday get-togethers with family and friends. As the lights twinkle on my Christmas tree, I can’t help but think back to my childhood Christmas memories. My mom was the ultimate holiday hostess. Our house was always decked out for the holidays, complete with scrumptious food and festive family-friendly drinks. Thankfully, I inherited a little bit of my mom’s decorating style and her ability to make guests feel welcome and at home. That means greeting each guest at the door and offering them Russian Tea as soon as possible. It helps guests relax when they have something to do with their hands and the delicious taste of my Russian Tea gives them something to talk about. I also plan my party menu timeline so that I don’t have to spend all my time in the kitchen! Guests love good food, but they also love you more! So don’t hide out in the kitchen all night. Russian Tea is my signature drink and it’s THE beverage for all of my parties and family get-togethers. It also makes your house smell amazing – just like Christmas! The secret ingredient in my Russian Tea is Milo’s Tea! It’s fresh-brewed and features natural ingredients. There are no preservatives or added acids in this award-winning tea! For this recipe, I use Milo’s Tea sweetened with pure cane sugar. They also have no calorie and unsweet options, as well as lemonade, and a tea and lemonade mix. Helpful Hint: I found Milo’s at my local Bi-Lo’s in the refrigerated juice and dairy section but they are available at lots of retailers. Find a store near you by using the store locator. 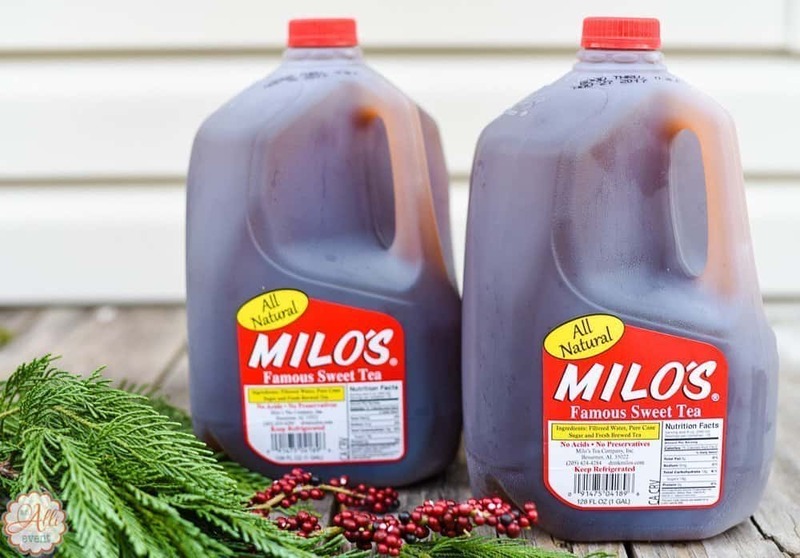 I love that Milo’s Tea was born in the south (Bessemer, AL), just like me! Plus, it’s family owned and a certified woman-owned business. Milo’s was founded as a restaurant in 1946 by Milo and Bea Carlton after Milo returned from serving his country in World War II. Milo’s philosophy was simple – use high quality, fresh, natural ingredients, listen to your customers and never sacrifice taste. 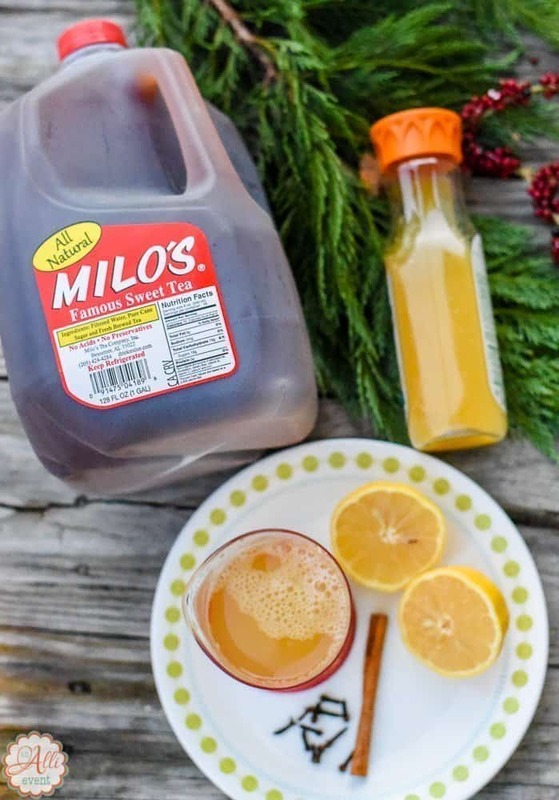 In 1989, Milo’s began selling their fresh brewed Famous Sweet Tea to local Birmingham grocery stores and now Milo’s beverages can be found in thousands of retailers across the United States. In a large saucepan, combine Milo’s Tea, orange juice, pineapple juice, lemon juice, whole cloves and cinnamon sticks. Heat until simmering and stir in the brown sugar. Turn heat to low and let simmer for 5 minutes. Store leftovers in the fridge and reheat before serving. In a large saucepan over medium high heat, combine Milo's Tea, orange, pineapple and lemon juice, whole cloves and cinnamon sticks. Heat until simmering. Stir in brown sugar until dissolved. Turn heat to low and let simmer for five minutes. 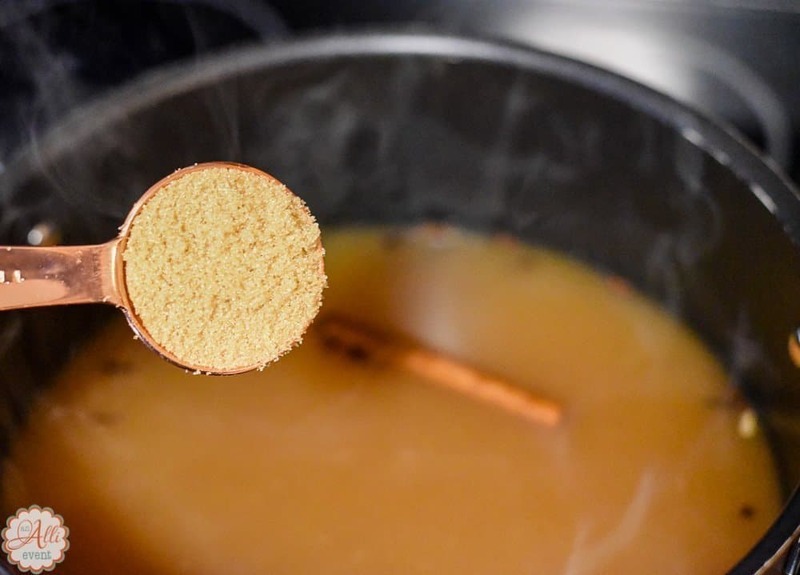 Remove cloves and cinnamon sticks before serving. An added bonus of making Russian Tea is that my house smells amazing and takes me back to my childhood Christmases! 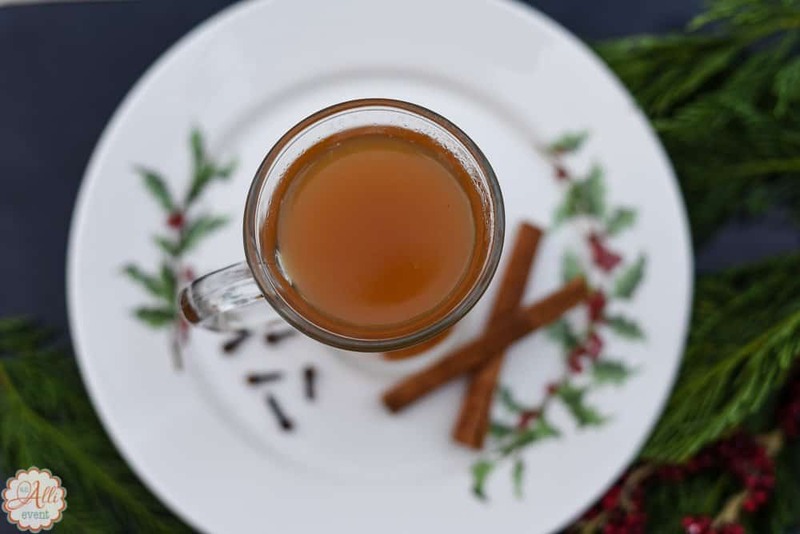 Be sure and try my Russian Tea during the holidays. It’s a family favorite! I’ve never heard of Russian tea, but it sounds great. I am excited to make some so that I can try this delicious beverage. This sounds tasty. I don’t think I’ve ever tried Russian tea before, but judging from the ingredients, I think I’d really enjoy it. Looks so refreshing. Thanks for sharing. I adore Russian tea as well, but I have never made my ow. What a genius idea. I will have to give your recipe a try as my daughters and I really love to drink tea. We live in the midwest and it is so cold here once the sun goes down and tea is flowing freely all night. I have never had Russian Tea but it sounds fruity and spicy and incredible. Thanks for sharing. I’ve never heard of Russian tea, but it sounds delicious. My kids would love to try this, they think they’re fancy when they try new things. I love tea. Haven’t ever heard of Milo’s Tea. It sounds delicious. I will have to give it a try. We can’t get your wonderful tea here where I live but will try and find a good subsitute to make this wonderful drink. I love to entertain and serve great foods and drinks. 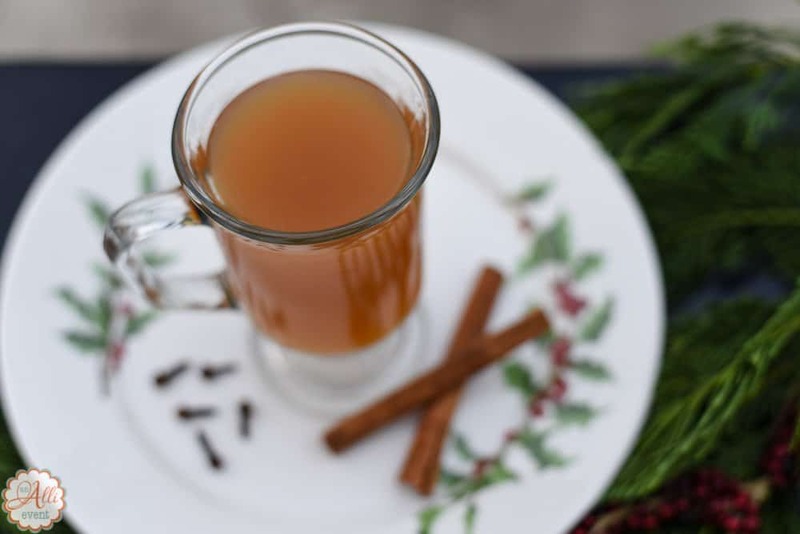 We love Russian tea too, but this recipe is better than mine. My son lives in Alabama — and I tried Milo’s our first visit to the state. They know how to do sweet tea! I’m definitely interested in trying out those flavors. Yum, this might be a new holiday tradition! Liz Mays recently posted…The Art of Adulting – Have Fun With It! We do have a lot of good memories made on Christmas and that includes the guests and the food. Your russian food looks really sumptuous and delicious. I love sweet tea. I’ve never had Russian tea but have heard of it many times, it sure does sound flavorful. I would love to try making this Russian Tea! It looks very refreshing and relaxing! Perfect for winter! What a gorgeous tea! I have several friends that would love this. I have a friend that lived in Russia for several years and misses it! I have never even heard of Russian tea before…I would love to try it. I love all types of tea and it is always fun to experience something from different cultures. First off the fact that you even have a Bi-Lo warms my heart. Growing up I would go to Bi-Lo with my grandmother. So nostalgic. We don’t have them here in the DC area. I’d never heard of Russian Tea before, I’m a daily tea drinker so I will try this one out. I’ve never had Russian tea before. To be honest I don’t really like tea usually, but it sounds good so I may have to try it anyway! I am starting to love drinking tea. So far I have no idea how it is being done and I am glad I came over this post. Now I can prepare a Russian tea for myself. Thanks for this! Anosa I became a tea lover also. You should try other teas as well. What a perfect recipe for those cold winter days. 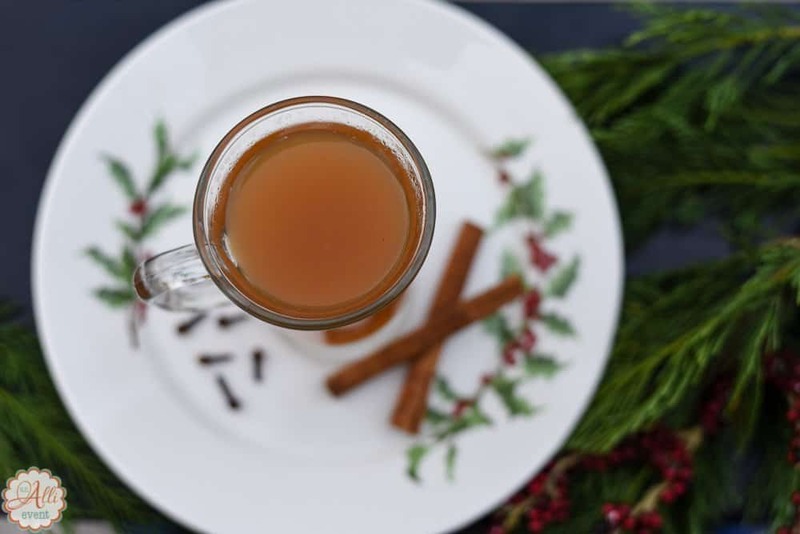 I really like spiced drinks so I’m sure I would love your Russian Tea too! Have to try it out asap! 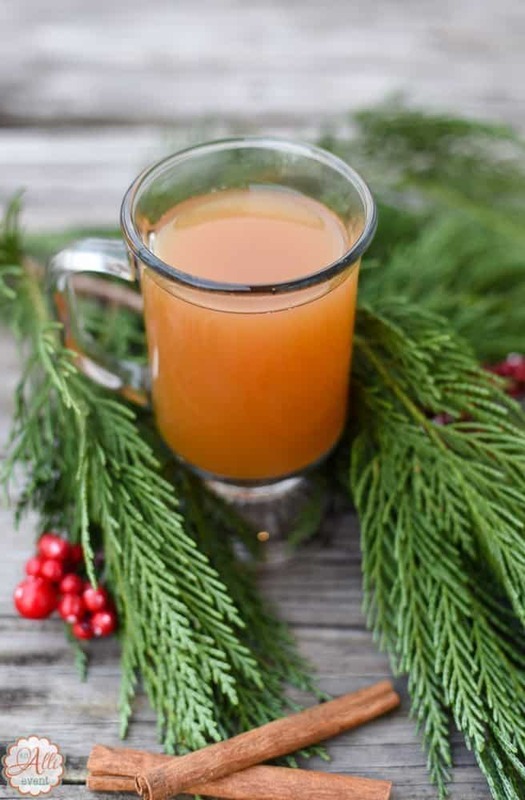 Alli this is a good recipe to warm ourselves and to stay energized. Thanks for posting the whole recipe. Real russian tea is freshly brewed black tea with some white sugar and a slice of lemon (optional), nothing else. Very interesting. I would try this recipe.